Siapa ingat kisah di atas? Baru lebih empat tahun dulu Azmin di anggap seperti Si Tanggang oleh ibu kandungnya sendiri. Namun, kesemuanya kelihatan baik dan sempurna setelah Azmin menjadi Menteri Besar setelah Abdul Khalid Ibrahim digulingkan oleh rakan-rakan separtinya sendiri melalui Kajang Move. Sejak itu, Azmin dilihat menjadi semakin lantang bersuara terutamanya dalam usaha memburukkan kerajaan pusat. Azmin sebenarnya ingin mengukuhkan kedudukannya untuk menghadapi serangan dari dalam parti terutamanya dari kem Wan Azizah. 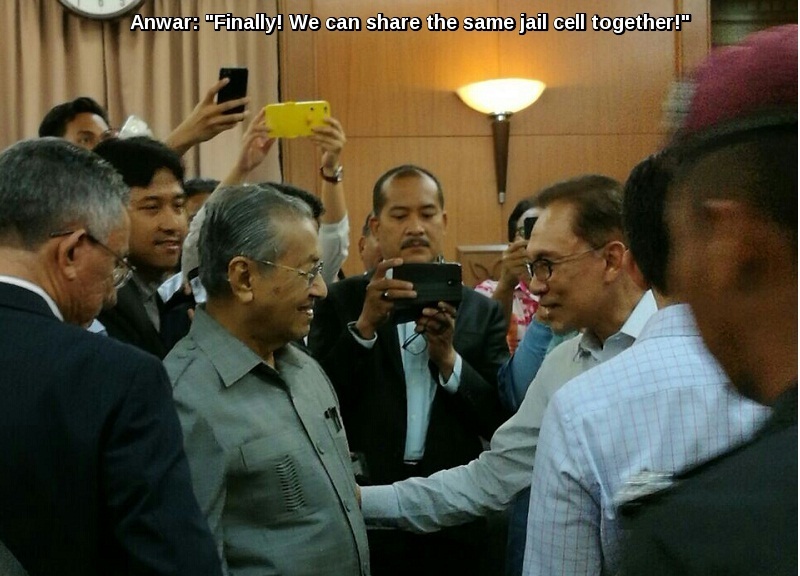 Oleh sebab itu beliau perlu menunjukkan betapa beliau lebih layak menjadi presiden partinya berbanding Wan Azizah yang tiada sebarang pengalaman selain menjadi tempat Anwar Ibrahim meletakkan kakinya semasa duduk berehat. Mungkin Azmin telah mendapat restu ibunya dan telah berbaik semula dengan adik-beradiknya. 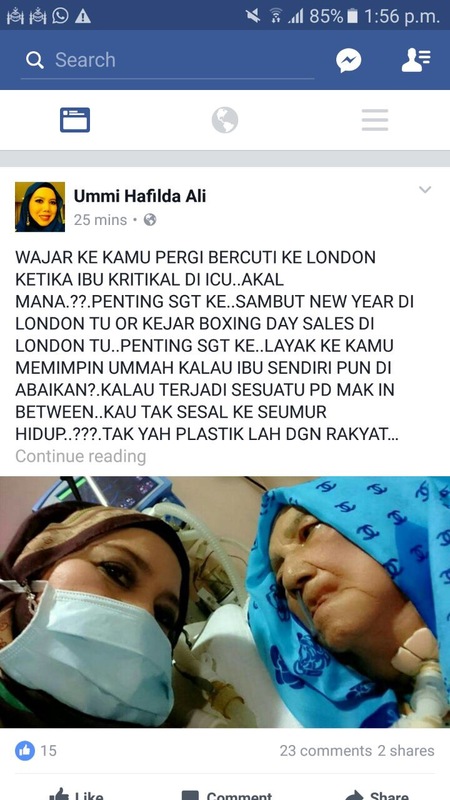 Malang sekali bagi Che Tom Yahaya yang berumur 82 tahun dan kini sakit teruk, kejatuhan matawang Ringgit yang dibuat bising oleh Azmin bermakna beliau wajib bercuti di London untuk Boxing Day sales kerana ianya lebih penting dari kesihatan ibu kandungnya itu. Lihat sahajalah luahan adiknya Ummi Hafilda. Patutlah negeri Selangor ni semakin parah keadaannya. Menteri Besar hanya pentingkan dirinya sendiri. And What If The Malays Unite? The above is an excerpt from this blog that I had quoted when writing about Bekor. When Malaya gained independence in 1957, the Malays made up only 49 percent of the population of 6.835 million, a marginalised minority in their own land since the 1930s [Department of Statistics, Federation of Malaya 1957 – Population Census of the Federation of Malaya Report, No.14 by H.Fell]. Of course there was the Penang Hartal of November 1967 and subsequently the 13 May 1969 racial clashes. But by then, the Malays were more united than they were in the late 1940s. 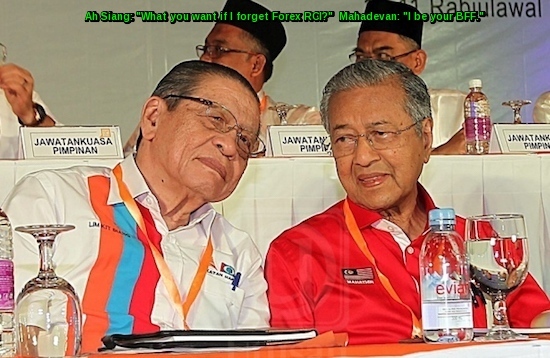 Sadly, the Malays are no longer united and not only are they being attacked on anything that is Malay or Muslim by the other races but they are also being undermined by the likes of Rafizi Ramli, and Mahathir Mohamad. And then came the opposition to the amendments of the Syariah Court (Criminal Jurisdiction) Act, 1965 dubber the ‘Hudud’ Bill, subsequently ‘Hadi’ Bill. I wrote about how non-Muslims especially the President of MCA who, I assume being ill-advised by his ignorant adviser and MCA’s Religious Harmony Bureau Chairman Ti Lian Ker, decided to oppose the Bill for the sake of opposing, even after the clarification made by the UMNO President, Najib Razak, in a recent speech at the UMNO General Assembly. 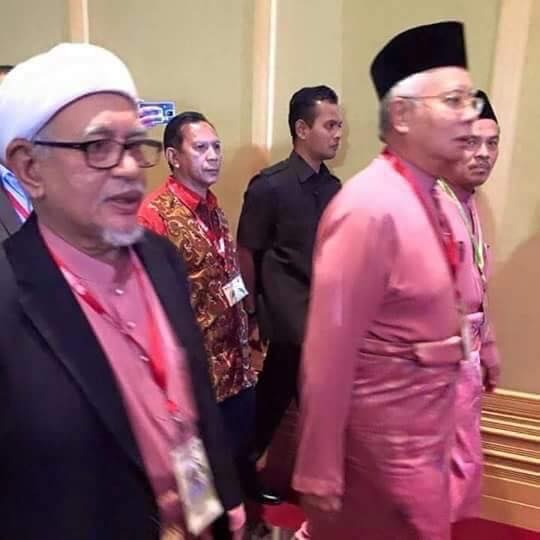 This resulted in UMNO delegates calling for the unity of Muslims to support the Bill, also known as the RUU355. While Liow Tiong Lai calls the amendments ‘unconstitutional’ little does he realise that by interfering in the Muslims’ right to manage their own affairs, he is being unconstitutional. I have seen little or no effort taken by MCA to understand the Bill, or to even explain the current government policies and efforts to assist the rakyat in times of need. There may have been such efforts but they somehow have escaped my radar. If you go to the MCA’s Twitter account, between 21 October 2016 until its last post it has not made any effort to convey the correct message to its audience. Rather, topics on RUU355 are all negative. Every single day be it on Facebook, Twitter or in comments to online news articles, you will see more often than not the non-Malays taking a swipe at every single effort by the government to make lives better. The most aired ‘grouse’ is of the rising cost of living. 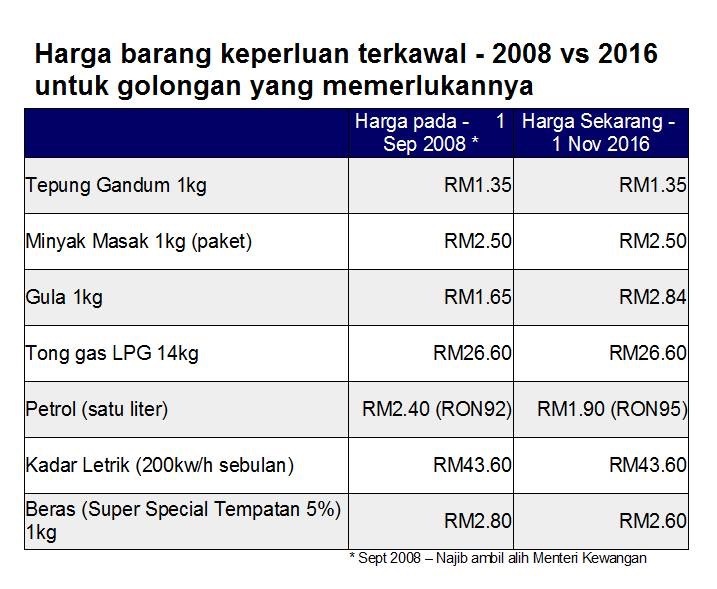 In his closing speech yesterday, Najib Razak stressed that in the seven years as the Prime Minister, he has never approved any application to have the price of 21 essential items like rice, flour, sugar and cooking gas to be increased. As a matter of fact you can see for yourselves the items which are zero-rated under the GST scheme. If you find any increase in any of the prices of the listed goods, it is your duty to report it to the relevant agencies, especially the Ministry of Domestic Trade, Cooperatives and Consumerism. You can download its Apps in Google Play or Apps Store and use the Apps instead of using the Internet to spread lies or complain to the general public where you will only make things worse instead of solving the problem! Najib Razak also pointed out that to date 185 Kedai Rakyat 1Malaysia have been established to bring low-priced goods to the people. So, don’t blame the government if you prefer to shop at Jaya Grocers, Cold Storage, Mercato or B.I.G. That is the choice that you have made, not the government’s. The problem lies with the retailers. And they will continue to fleece you for as long as you don’t report them. The same also goes to medical treatments. There are 195 Klinik 1Malaysia established nationwide to date, 2,836 government clinics, 139 goverment hospitals, where you can seek treatment for as low as RM1.00! I cannot understand why would anyone, especially kampung folks, seek treatment at private hospitals when they cannot afford it, then make pleas for donations from the public? And you blame the government saying it does not provide affordable healthcare? The most terrible whiners are those who go on saying the Ringgit is the worst performing currency that it is no longer accepted anywhere outside Malaysia. On 31 October 2016, it was the British Pound that was the worst performing currency in the world. While the Ringgit has dropped by 0.23% against the Greenback in the last two days, Singapore Dollar has dropped by 0.46% while the Japanese Yen dropped by 0.52%! 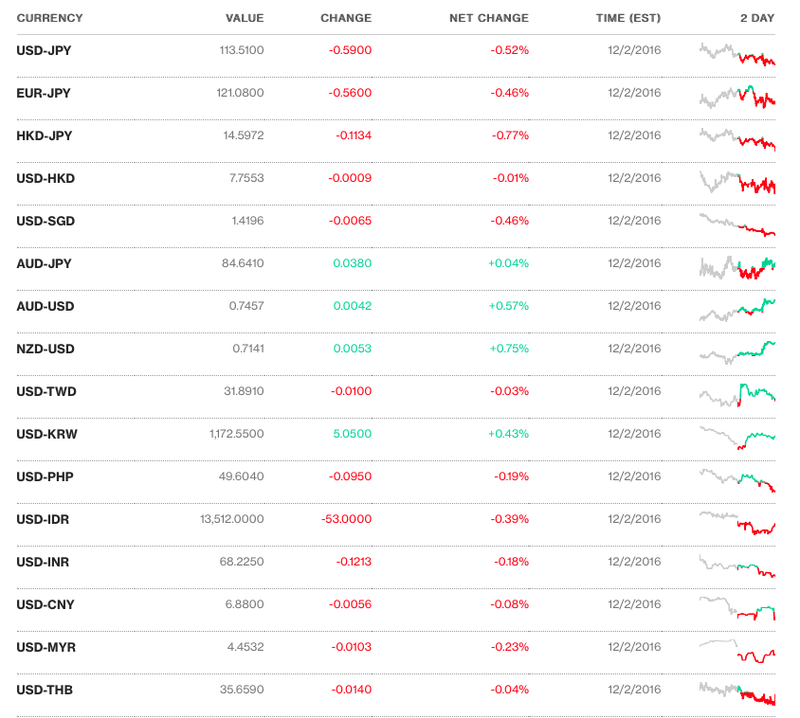 Do we see the JPY or SGD not being accepted in other countries? Of course not. But the zombies refuse to believe this. 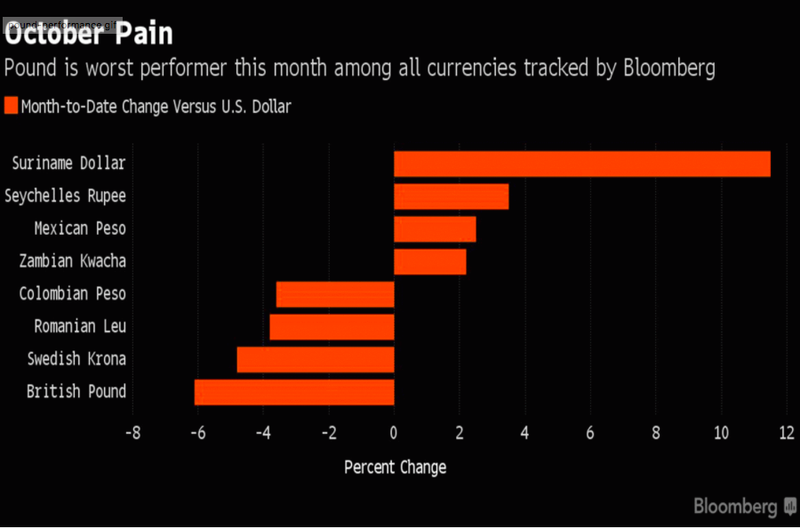 Among this year’s worst performers (year-to-date) in East Asia are actually the Philipine Peso and China Yuan. According to Twitter’s @econsmalaysia, since Trump’s victory the Japanese Yen has lost 9.1% of its value against the Greenback compared to 5.6% for the Ringgit. So pray tell how is the Ringgit the worst performing currency in Asia? There seems to be nothing good to come out of anything a Malay would say or do, and any move made to strengthen Islam in this country is regarded by the non-Muslims, as unconstitutional or done not in consultation with the non-Muslims. Since when does Article 11 of the Federal Constitution requires the management of affairs of one’s religion needs the accord of others? Why are the other races not respecting the position of Islam as the Federation’s religion? Does this not reflect what was done to the Malays back in 1947 when the religion of the land was not respected by other races? “The violation of the sanctity of Islam also became a factor in the bloody Sino-Malay conflict (WO 172/9773. No.30: 478) when the Bintang Tiga/CPM disrupted religious activities in Muslims places of worship. This started in Batu Pahat, Johor, just before the surrender of the Japanese occupiers, during the Muslim month of Ramadhan. Muslims were forbidden from congregating at mosques or suraus to perform the Terawih prayers (Hairi Abdullah, 1974/5: 8-9). The same occurred in Perak and some parts of Batu Pahat where Muslims were gunned down and burnt together with the mosque they were in during Friday prayers. Mosques and suraus were often used as places of meeting for the Chinese community (WO 172/9773, No.30: 478) and were tainted by incidents such as slaughtering of pigs, and mosques’ compound was used to cook pork, where Malays were forced to join the larger Chinese groups. And you want to blame the Malays for wanting to unite? I’m sharing the item below because it is very relevant to those who fear the decline of the Ringgit versus the Greenback. This fear is further underscored by zombies who think the world is going to end tomorrow. 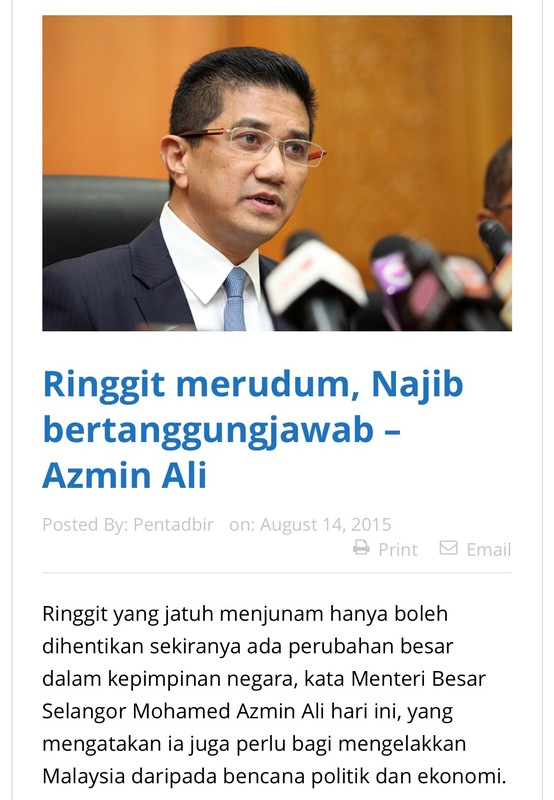 Malay Mail Online) – Today, the Ringgit breached RM4.00 for a dollar. When I logged in to my Facebook and Twitter accounts, 9 out of 10 posts that appeared on my timeline were slamming the Government on the Ringgit. To sum them up, youths who dominate social media today were posting comments as though tomorrow spells the end for Malaysia. 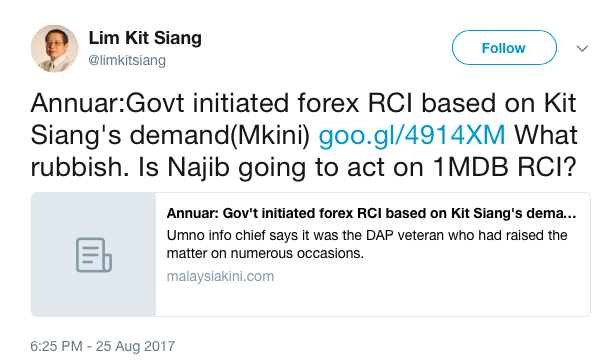 And in just the past month, I saw how Malaysians transform from being constitutional experts, to aviation analysts and now economics. 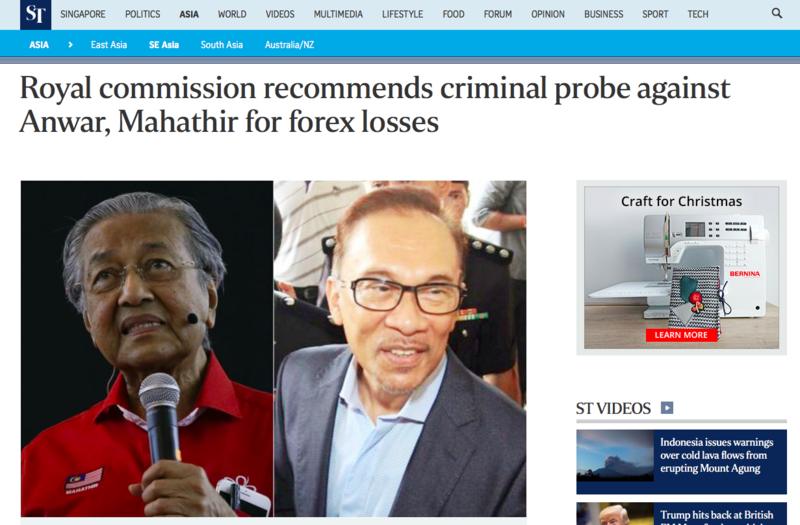 Some even went as far as pushing the blame on Umno and Najib. There’s this group called Suara Rakyat who likes to say “other countries are doing better because Umno is not there in their country”. One of the contributing factors faced by these countries is the drop in oil prices. Crude oil was trading at US$70-80/bbl few years ago and today it has fallen below US$ 50 per bbl. Also, US is not our only trading partner and the performance of our Ringgit is not measured against US dollars alone. I don’t need to name more currencies, do I? Do you know that the value of our trade with India, Japan and Indonesia is close to 20per cent? Understandably, we are quick to feed on negative news and quick to comment like an expert on our Facebook and Twitter. That’s how things work these days. Of course, none of you made reference to 1998. No one remembered the time when the Ringgit crashed to as low as RM4.725 for a dollar on 7 January 1998 (BNM selling rate, over the counter was more than RM4.80). All of you, who were quick to comment about the state of our economy on your Facebook, were still in school. 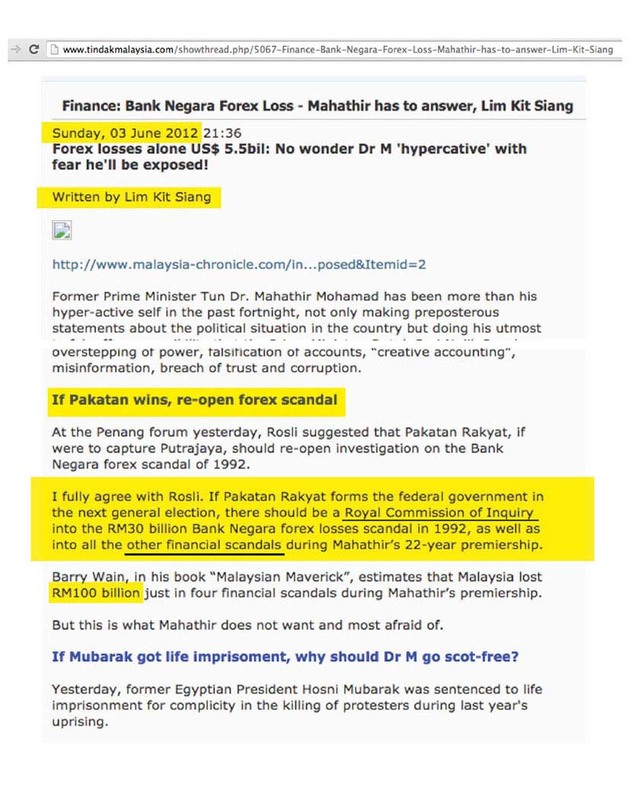 So none of you knew, none of you remembered, none of you experienced what happened in 1998 when Anwar Ibrahim was Finance Minister. c) Inflation was close to 3 per cent without subsidy removals. If any of you doubt the 2-3 per cent inflation numbers today and felt it is way higher, apply the same thought to 1998-1999. And yes, average lending rate was over 12 per cent. Those were the days. You may say it is history and you may continue to slam the Prime Minister, the Central Bank and the Government for today’s numbers. But the next time before you give you get upset and share your anger on Facebook or Twitter, ask yourself whether or not the Ringgit — Dollar exchange rate affects you, and how. 1. Do you shop online from US websites? 2. Are you planning to fly over to US for a holiday? 3. Are you a Malaysian studying in the US? 4. Do you import goods to be resold in Malaysia? 5. Do you buy necessities and food from the US to use here? 6. Do you at all use the US dollar in your daily life? Because my dear, only if you answer yes to the above, you are affected. Otherwise, what are you shouting and so worried about? Your salary is still denominated in Ringgit and you don’t buy necessities with US dollars. Sure, no one can deny that it has some impact to some segments especially imports and our plans to travel to US, UK etc. I am also of the opinion that there are many things Najib can do (which he isn’t at all now) and I will share more soon. And guys, the international ratings agencies — Fitch, Moody’s and S&P — have all maintained Malaysia’s outlook as stable. There are no economists out there who are saying that Malaysia’s economy will collapse, only politicians are saying this.